Alex is just a cute little Clefairy figuring his way around the world. Curled up inside his tail is a pretty, yet haunting, stone called the Life Orb. He doesn't really feel any of the negative effects due to the Magic Guard ability he was born with. Alex meets up with Lamont, the Bannete Thief. Not completely willing, Alex follows Lamont to help him out... although ends up stirring up more trouble in the end sometimes. 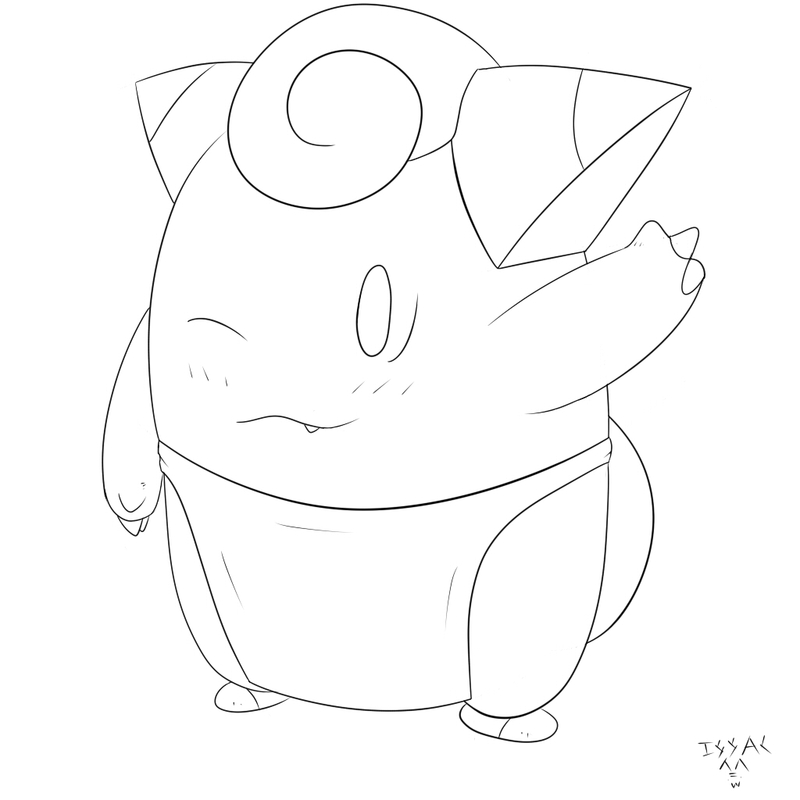 Yeah, I can't draw Clefairy... I certainly gave it my best though! This is getting colored quite soon, so look forward to it! By the way, no, Alex and Lamont are not romantically linked.